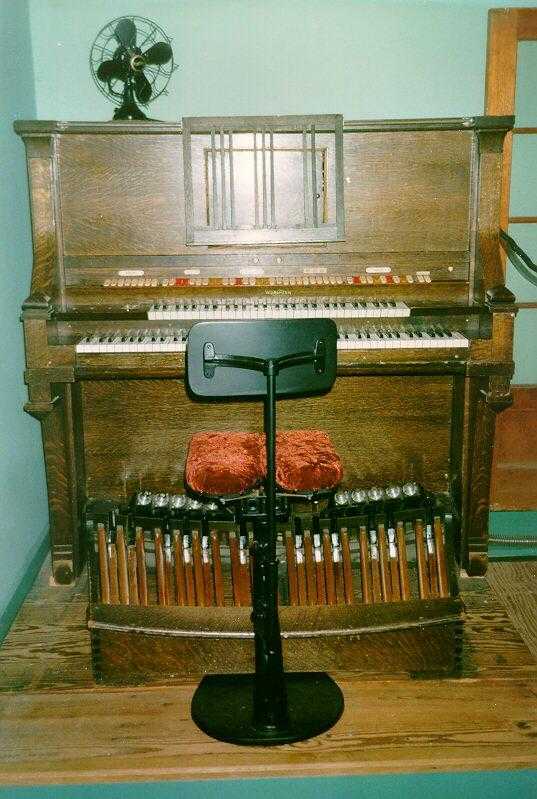 This is a photo of the Wurlitzer Model 160C, Opus 471, organ that was installed in 1921 in the Temple Theatre in downtown Hammond, Indiana. The first organist was E.R. Howard. 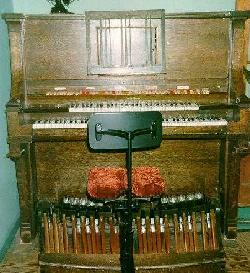 It has been told to me that he invented the Howard Wonder Seat as a result of playing this organ. The Organ was installed on a cart that allowed it to be rolled from a balcony in the back of the Theatre to a ballroom. The cart was only the size of the console and as a result anyone over about 5'5 would have trouble playing the instrument. The next organist was John Muri. He played the instrument when he started playing professionally in 1924. The organ is also on the ATOS list of Historic Theatre Organs. 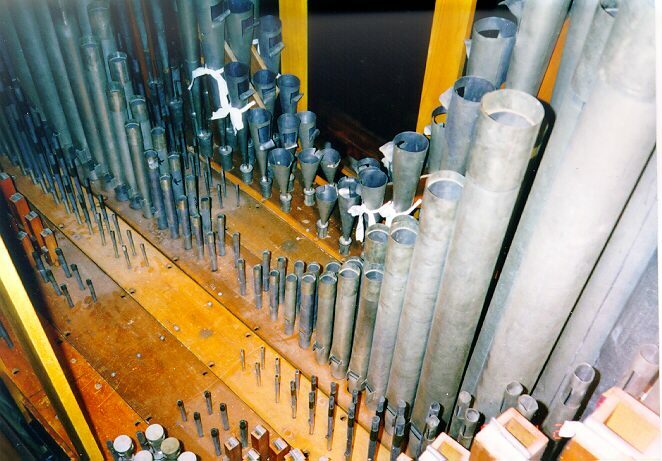 The organ has all but two of its original pipes and all but two of its original traps. I have the original bench but it is easier for me to use the Howard seat which came from the Madison Wisconsin Orpheum Theatre. The only other operating part that is not original is the vacuum pump. It was damaged when the roof leaked on it at the Theatre. The finish is original due to John telling me that Mr. Howard was a smoker and there are several burn marks on the organ. 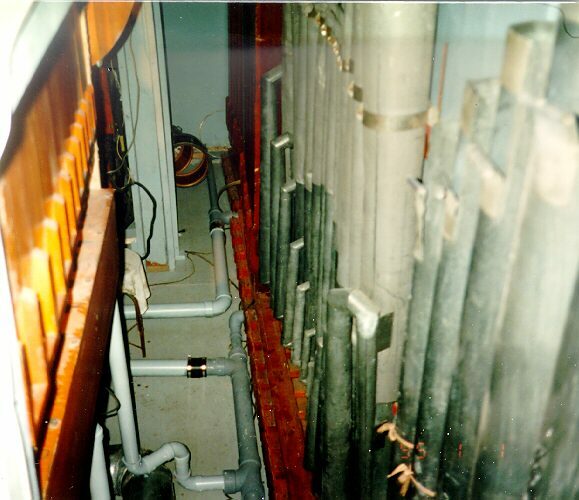 The pipes are in a chamber just like all Theatre Organs. When my father first started talking to people they kept telling him it was a Photo-player. He thought it was until he found out that it was a Style 160c. These are some of Wurlitzer's oldest models. The Piano Consoles had from a whopping three ranks to the 160 which had six. the pipes and chests are same as any other Unit Orchestra. The notable exception is the lack of a Tibia. The Trumpet tab worked either a Trumpet or a Tuba. This particular instrument has the Tuba. There were approximately 84 160's made out of the 500 Piano consoled instruments that Wurlitzer produced. This console and its two manual curved stop sister was the most common of the consoles. The Piano is in the Console with a Mandolin attachment (read rinky tink). The main wind pressure is 10 inches of water and the Vox is on six inches of water. 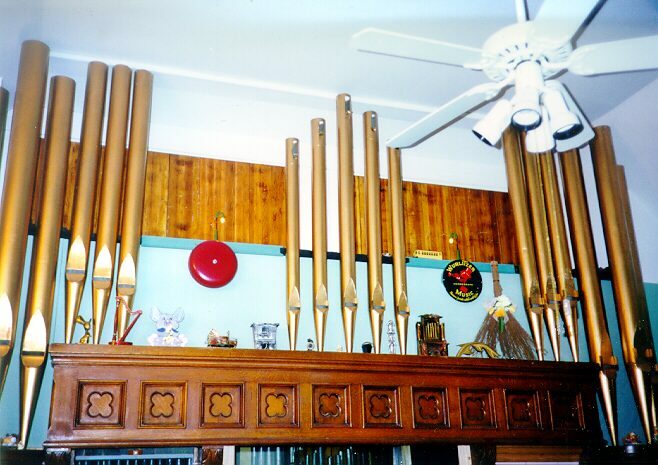 When the organ was first installed in my fathers house the springs for the Vox were for 10 inches. I do not know how or why but the pipes sound better on six so that is what they are on now. 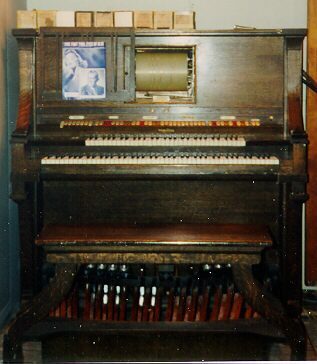 The original chamber was a box that was supplied with the organ by Wurlitzer. This allowed placement of the Organ anywhere without having a dedicated Chamber. The original box was heavily damaged by roof leaks but it allowed the organ to be saved. What was salvageable was installed in my music room so the effect is similar. The player is in the Console and controls the stops that are marked on the list. It also controls the shutters and traps. It is the smallest of the standard players and could be installed on all of the Unit Orchestras. I have the price lists from 1923 showing stock pricing for the Unit Orchestras and the player option. The opus 471 is as close to a stock instrument as you can find. the Player is the only change and it was a stock option. The bottom manual is divided for all but two of the ranks. The F# above middle C is where the split is. This allows you to register the instrument as a 3 manual, with the bass on the accomp. set different then the treble. 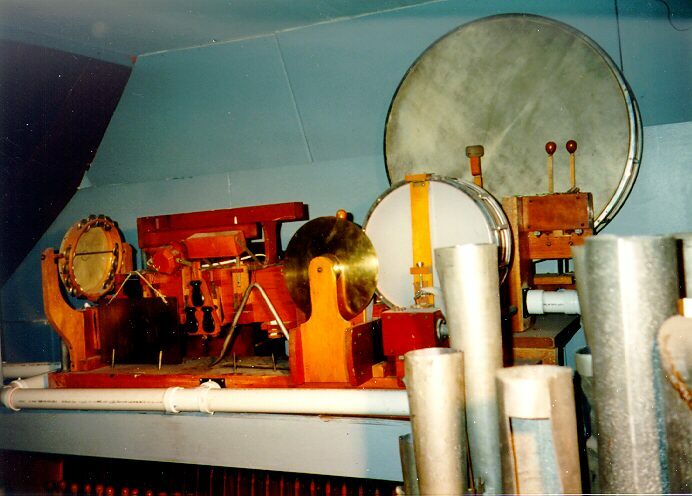 The tuned percussion were moved to the accomp. from the solo because of the roll. They are standard issue also. The chamber was very tightly packed originally but I made it larger and it shares space with my 1911 Kimball theatre organ from the Kedzie Theatre in Chicago. The relay is a standard relay in the chamber and is the original. The accomp. manual has contacts under 85 of the 88 keys. This allows the flute to be played on 8' pitch the whole compass. the 4' octaves on the ranks that have them are available on the top octave of the Piano. The player can also play standard 88 note piano rolls so this allows all the notes to be used with the pipes sounding. The solo manual is standard 61 note but the keys stop 1/2 inch from the back of the key due to the player. This makes for some interesting key touch when you go from the bottom manual with it's Piano touch to the solo with the short keys. The Piano is able to be turned off so you can register it as a normal organ. 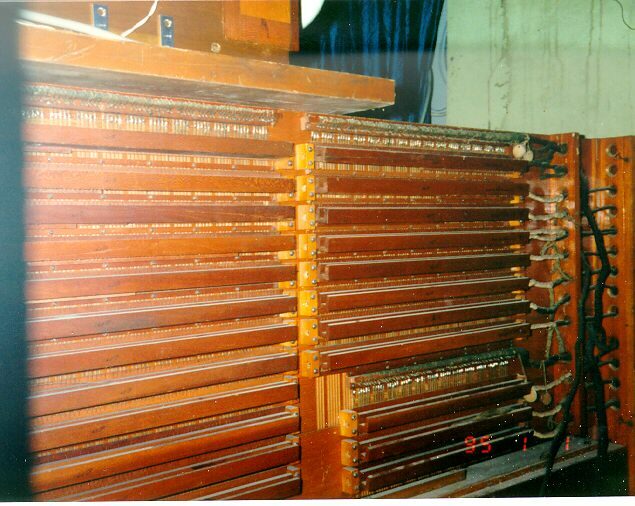 Picture of all the original Wurlitzer traps that came with the organ. The bass drum head is the original 1921 head! 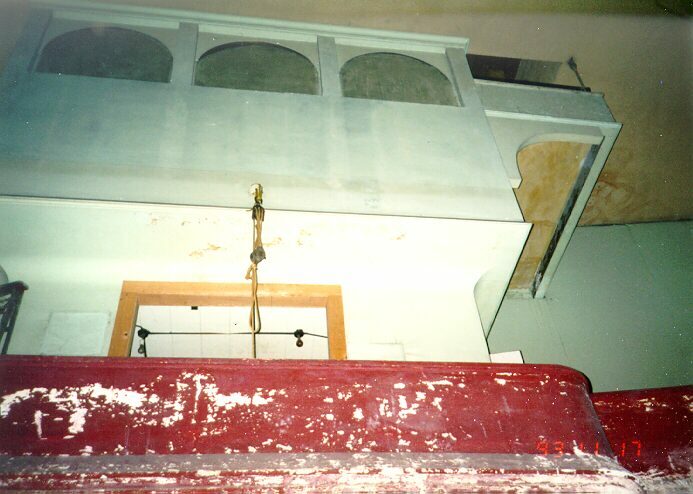 Picture of the original theatre chamber at the Temple Theatre taken in 1993. Note the position is on top of the projection booth at the back of the theatre. The organist sat in the little balcony on the right side and looked down 3 floors. Care to read the stoplist for this organ? The bass offset pipes with the bourdons, open diapasons, and diaphone. 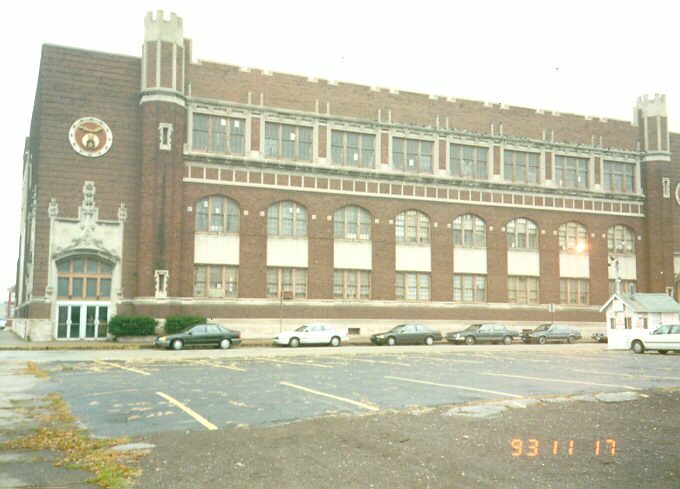 Outside of the Temple Theatre. Front of the chambers at it's new home. The casework is from Moller opus 1650. There is a Lionel trolley that runs back and forth behind the pipes. The bell is a train signal bell that I found. 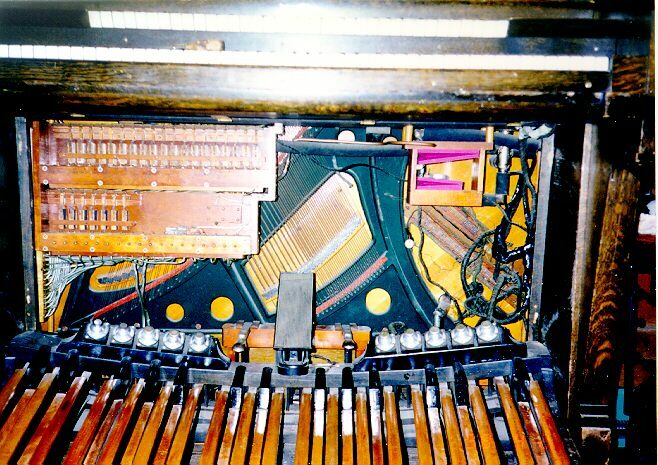 The Wurlitzer main chest. Pipes are from left to right, Vox Humana, flute, Viox Celeste, Open Diapason, Salicional, Tuba. The Piano Console with it's lid up. The item on the left is the shutter control. It opens and closes the shutters by moving a contact bar one step at a time when the roll tells it. 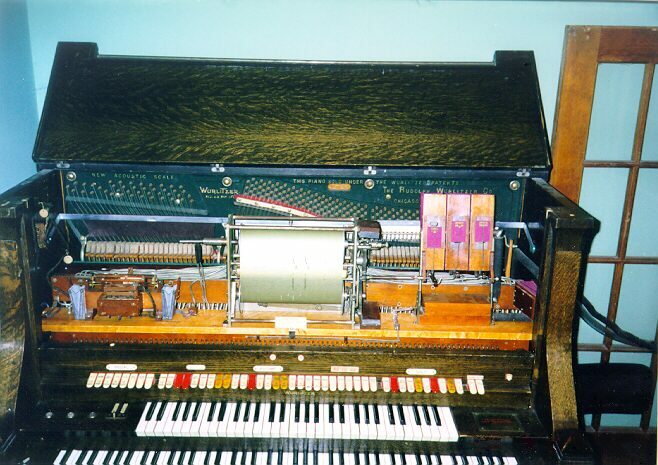 The nickel plated cylinder (with the two rubber/tin tubes attached ) on the side of the spool box is the switch that selects between the Concert Organ rolls and the Standard 88 note Piano rolls. The remaining pieces are normal player items. Bottom of the console The unit on the left is the pneumatic controller for the player. The contacts on the top are pneumatic latching relays the set the registration. The contacts on the bottom are for the traps.